This most traditional of English puddings is made in Tiptree, England (we think they tip trees there) from the highest quality ingredients including French brandy and Orange Tawny Marmalade. Tiptree Christmas Plum Pudding contains: Vine Fruits 27% (Sultanas, Currants, Raisins), Sugar, Breadcrumbs (contains WHEAT), Refined Palm Oil, Cider, WHEAT Flour, EGGS, Citrus Peel, Tawny Orange Marmalade (Sugar, Seville Oranges), Brandy, Mixed Spices, Salt. 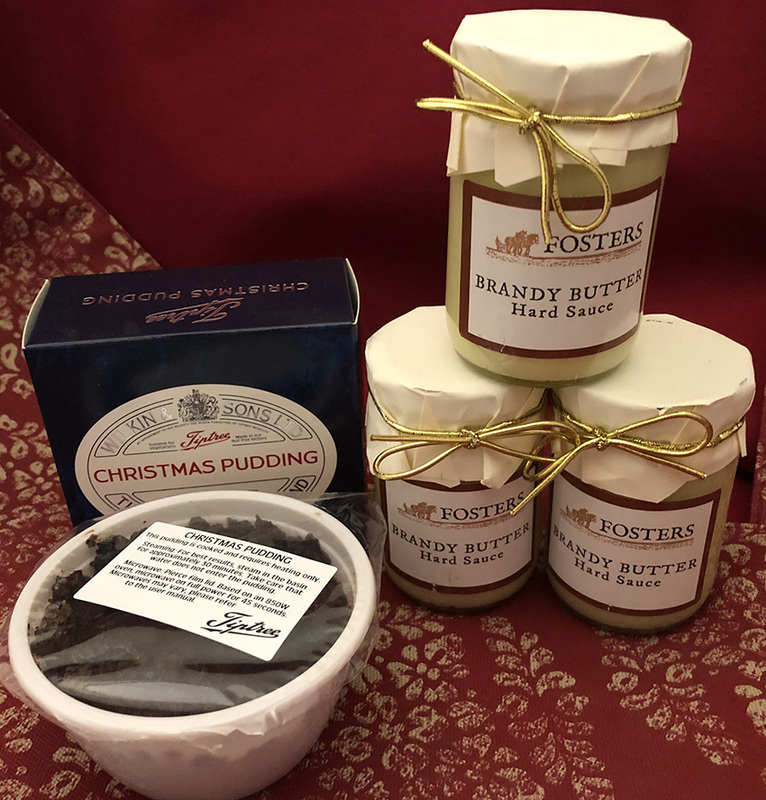 Simply scoop a dollop of this wonderfulness over a hot dessert (like plum pudding or even apple or pecan pie, or melt some on French toast) and watch the brandy-laced butter melt into it. Fun for the whole family.